CRAZY COOL GROOVY!!! : #BLACKGIRLMAGIC: TOYA WRIGHT On ROLLING OUT MAG!!! #BLACKGIRLMAGIC: TOYA WRIGHT On ROLLING OUT MAG!!! 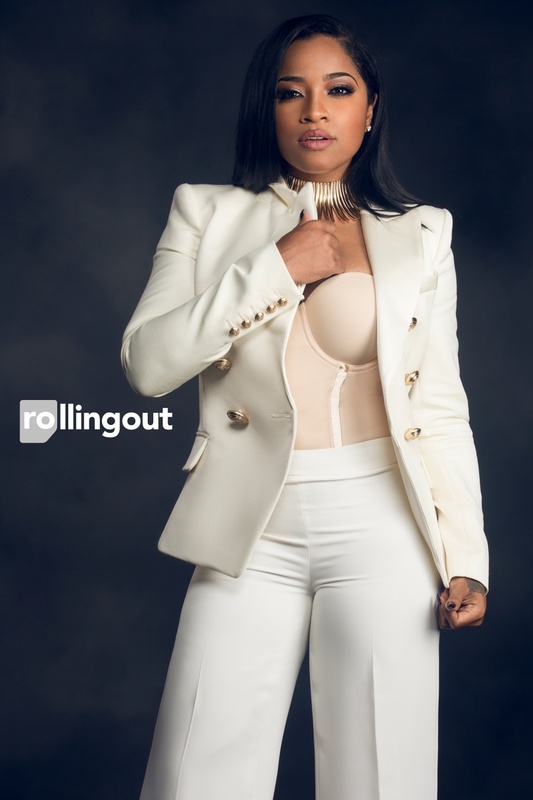 NEW ORLEANS-native RealiTV Star/Author/Entrepreneur/Model TOYA WRIGHT has released a new love, HOW To LOSE A HUSBAND, and she covers the new issue of ROLLING OUT Magazine!!! How long did it take you to write HOW To LOSE A HUSBAND? I’ve been working on this book for about eight or nine months. What are women saying about this book? In the beginning, it was a little rough when I first released the title. The book is titled How to Lose a Husband, and it kind of went left, [because] I was going through a separation with my husband and it was very public. People kind of thought that I was actually writing a guide to teach women how to lose a husband, and that’s not what the book is about at all. The book is actually a novel about five women. It’s based around friendship and different relationship issues. I just feel like art imitates life. So, all of these different women in this book and these different situations they are going through, it gets kind of crazy and deep. People that have purchased the book and read it tell me that I’m a certain character in the book. I did incorporate a little bit of my real life into the book along with my friends who go through different things. I just decided to open up and share it in a fiction form with adding extra things to the book to make it good and juicy. The moral of the story is that you have to be whole before you can be anybody’s half. How did you come up with the storyline? I really came up with these stories and I worked with this lady, her name is Carla, and she helped me to bring the characters to life in book form. Her imagination is crazy. I sat with her and I came up with all these things. Women and people in general, you know we go through things in life. And listening to all these stories from all these different women, including myself, it inspired me to write the book. Because the one thing we have in common is, we’re looking for someone else to make us happy. And you have to be all the way happy and complete with yourself before you can give yourself to someone else. We also all have a group of divas where we all stick together and we help each other get through things, whether it’s with our kids and our husbands, boyfriends — some women are side chicks — no matter what it is, and I just decided to put it all in my How to Lose a Husband book. Tell us why you decided to become an entrepreneur. With my clothing store, I always had a passion for fashion. I just love shopping. If I can spend all this money on clothes, I might as well own my own clothing boutique. So, I decided to open my first boutique, which is in my hometown of New Orleans, and I opened that 6 1/2 years ago, and it’s still open. The name of it is Garb Boutique and it’s located on 2042 Magazine St. in New Orleans. I opened my second location in Atlanta, and it’s in West Village Place in Smyrna, Georgia, and it’s called Garb Shoetique. I just love clothes and shoes, and I just wanted to get into the retail side of selling my own stuff. Instead of promoting other stuff, I can promote my own stuff. So, I did some research and opened my store and it’s been doing really good. Share the importance of doing research first with other women who are thinking about going into business. Because I think it’s very important to do research first. I didn’t go to school for business, so I had to meet people to teach me that. I had this friend, her name is Peaches. She kind of gave me the ropes. She’s been in retail for over 16 years. So, she taught me everything she knew about owning and running a boutique. The most important thing is having trustworthy people around you. You have to really put good people in place to run your businesses, especially if you don’t live in that city.